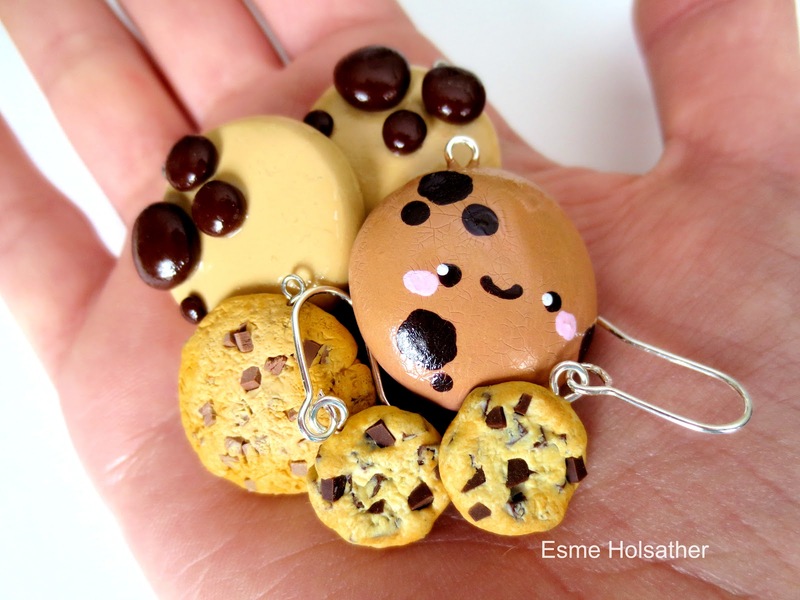 These are some different styles of clay chocolate chip cookie charms that I've sculpted all together! 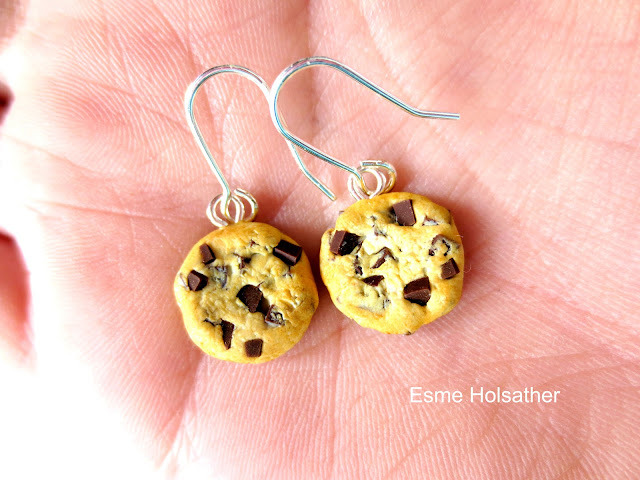 The one with the face was completely painted with acrylic paints, and the two in front are earrings! 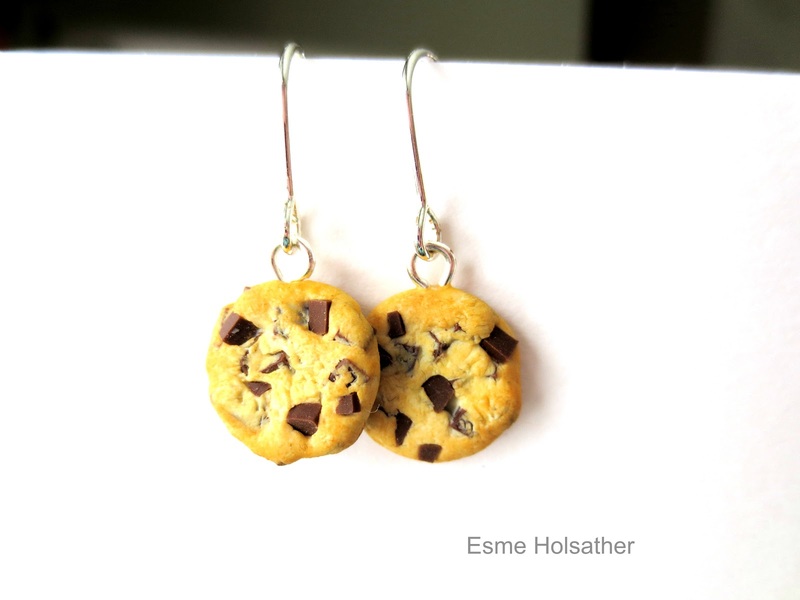 I've been wearing these cookie earrings a lot!